Spoon Study — studio Nathalie L.
Tribute to a very personal and intimate tool found in every culture. 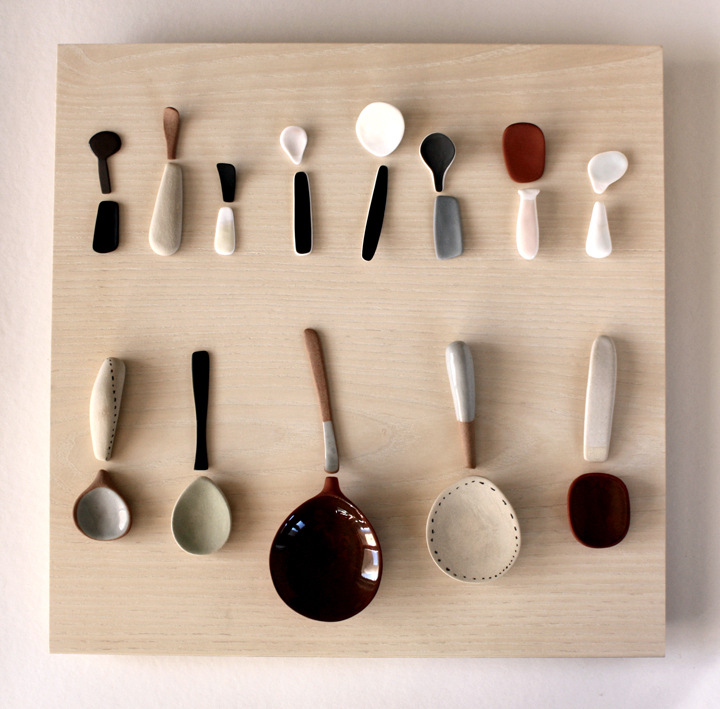 Inspired, among others, by traditional Sami reindeer bone spoons and Japanese matcha tea bamboo spoons. Material and technique: Stained slipcasted porcelain, pressed stoneware and earthenware, textile, wood, bamboo.